We've just started having a few cool nights and Summer isn't forgotten yet, but I have already had a big craving for tamales so we made some this past weekend. 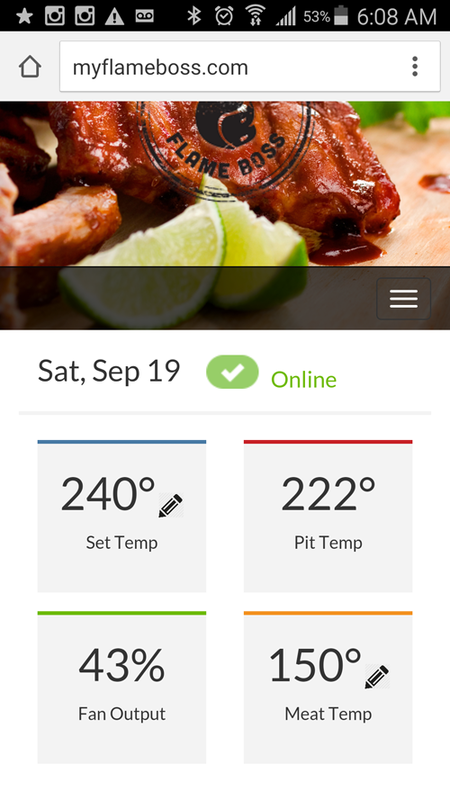 Bill and Cheryl Jamison are well known for their BBQ classic, Smoke and Spice: Cooking With Smoke, the Real Way to Barbecue -a must have for any barbecue enthusiast. But a few years ago they came out with Tasting New Mexico: Recipes Celebrating One Hundred Years of Distinctive Home Cooking, which is loaded with fantastic traditional Southwestern cooking, and that is where I turned for recipe ideas. 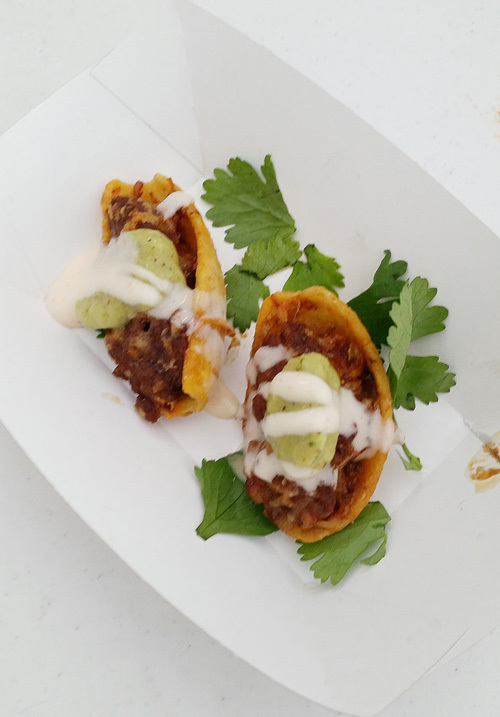 I used their tamale dough from their recipe for New Mexican Pork and Red Chile Tamales and varied one of their red chile sauces. 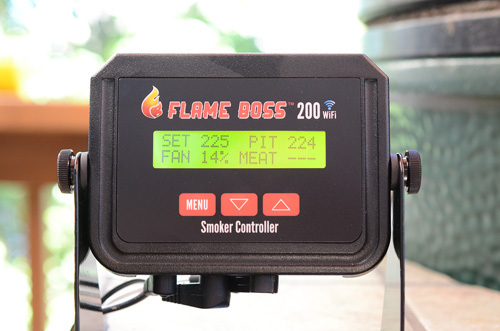 If you can't or don't want to smoke your own brisket, no problem, just buy some from your local BBQ place. In Knoxville, I'd highly recommend Dead End BBQ or Full Service BBQ. 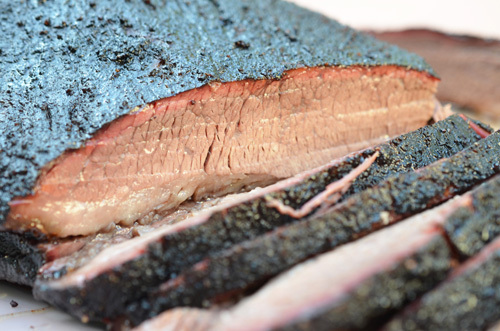 Both make great brisket. For corn husks, I just buy those at my local grocery store. Pretty much all of the major chains carry them in their Latino foods section. 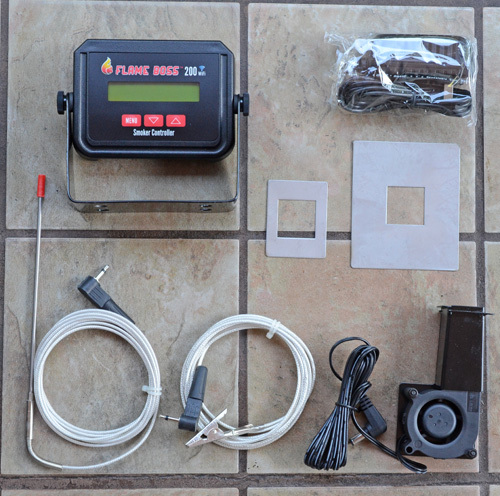 Preheat your grill to 350°f. 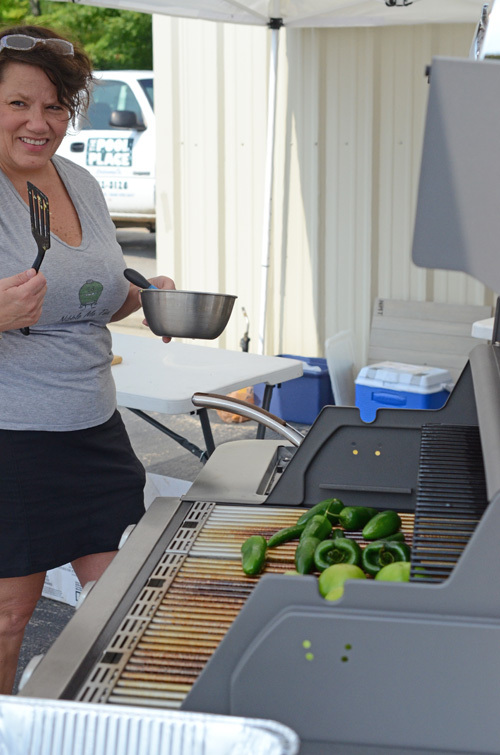 Toast the chiles over the fire in a grill pan, tossing once or twice, until the chiles become fragrant. This should be about 1-2 minutes. Remove the end and seeds from the chile and discard. Break up the chiles into pieces in a blender. Add the tomato paste, seasoned salt, oregano, sugar (optional), and stock. Pulse the blender until the mixture forms a paste. Add in water in batches until you reach a sauce like consistency. 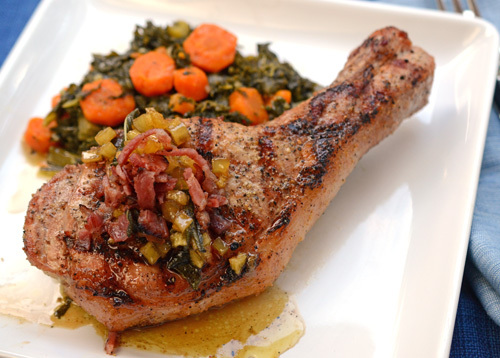 Place thick bottomed pot on the grill and allow to preheat for 5 minutes. Add the oil and wait 1 minute. Add the onions and garlic. Saute until tender, 5-8 minutes. Add the chile mixture from the blender to the pot. Simmer for 30 minutes. Remove the pot from the grill, taste for seasoning, and add salt as needed. Stir in a few tablespoons of the red chile sauce in with the chopped brisket. Take a husk in one hand and then smear about 2-3 tablespoons of the tamale dough across the wider part of the husk. Place about 2-3 tablespoons of chopped brisket on top of that. Roll up into a cylinder, and fold the empty end up (you can tie with a string but we just lay them folded side down). Repeat with remaining dough and brisket. Place a trivet in the bottom of a large stock pot and fill 1/2 inch deep with water. Place the tamales in, folded side down, tightly close a lid on top, and heat until steaming. Steam until the dough firms up, 45 minutes to 2 hours, replenishing the water as it dries up. 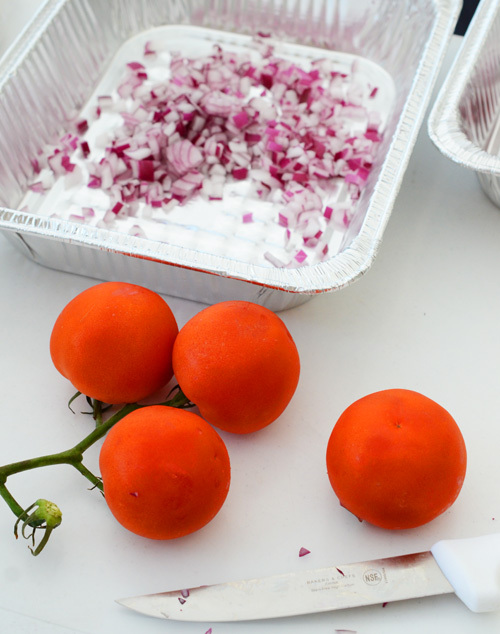 Remove from heat and carefully remove lid to avoid steam burns. 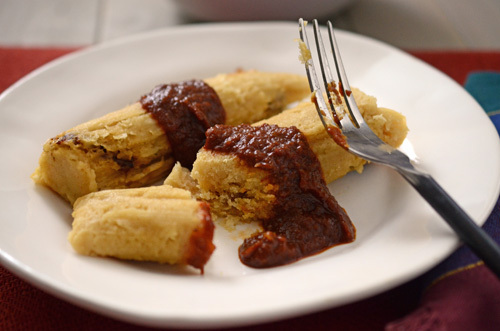 Serve tamales with some of the sauce ladled over them. I forgot how long steaming the tamales could take. I was starving by the time they finished 2 hours later! 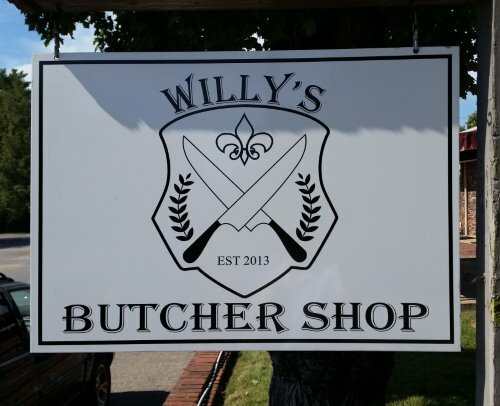 This Wagyu brisket from Willy's Butcher Shop in Knoxville was drop dead gorgeous! Look at that marbling. This brisket was for our enjoyment, not a competition, so I just used my beef rub on it (kosher salt, cracked black pepper, crushed green peppercorns, onion, garlic, red and green bell pepper, and oregano). 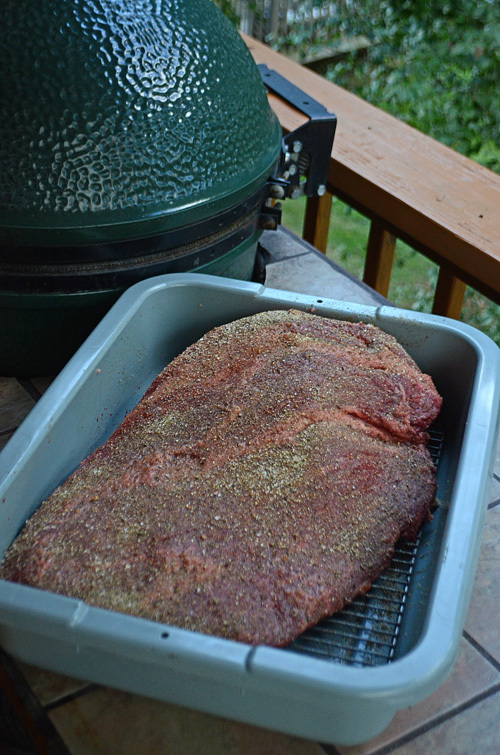 The rack under the brisket helps the rub stay on instead of getting stuck to the bottom of the bin. 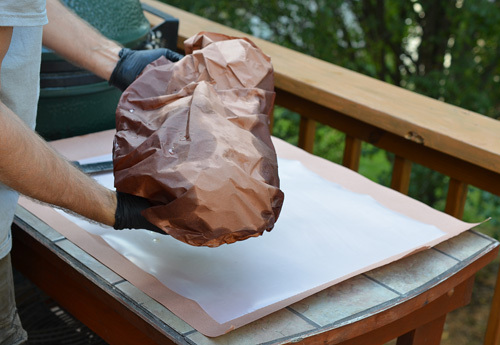 Instead of foil, we used butcher paper for wrapping. 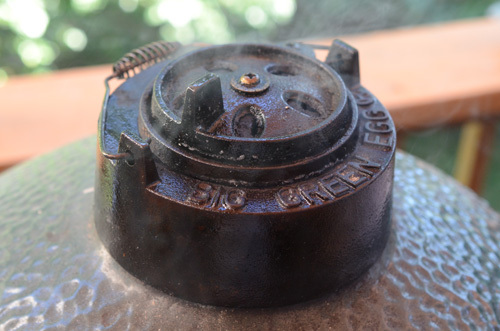 I plan to do a full Franklin method brisket soon using our offset BBQ pit but this time, I used one of our Big Green Eggs. I got a really nice, dark bark on this brisket. Black gold! 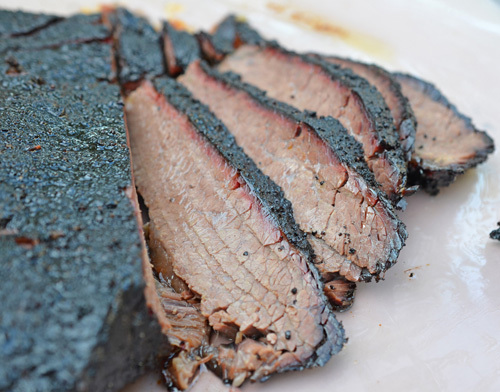 Dark and smoky on the exterior, tender and juicy on the inside. 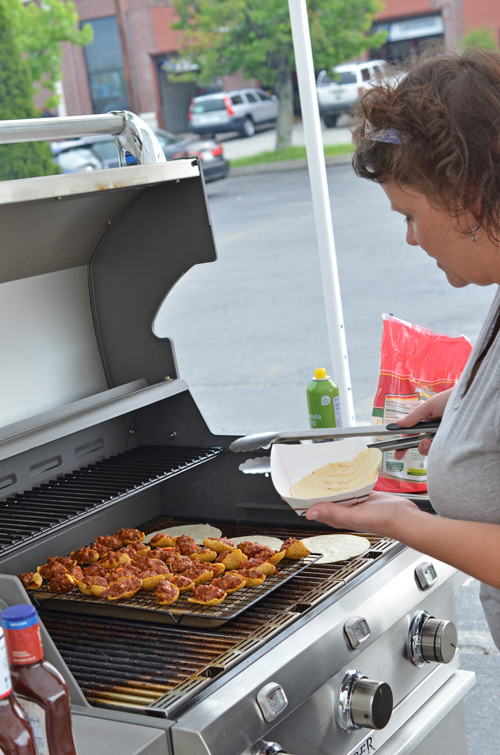 Last month, our BBQ team did a grilling demo for Grill Dome kamado grills and Saber premium gas grills at the local dealer. Since football season was just a few weeks away, our theme was tailgating. We made John's breakfast pizza, MOINK! 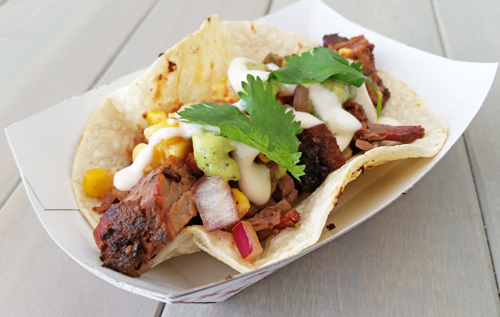 balls, stuffed Fritos, and these tasty brisket tacos. 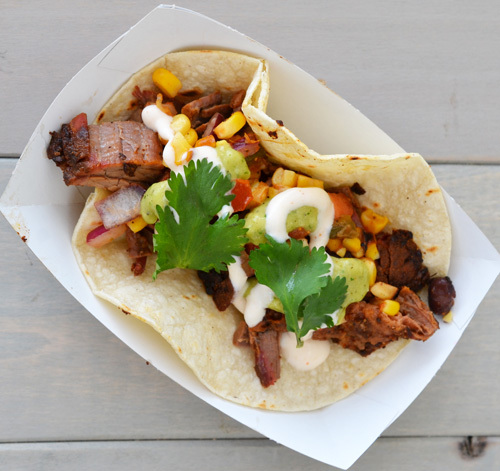 Liven up your tailgates with food truck style brisket tacos. Brisket tacos are one of my favorite things to get at Martin's BBQ in Mt Juliette, TN when I'm headed home from meetings in Nashville. 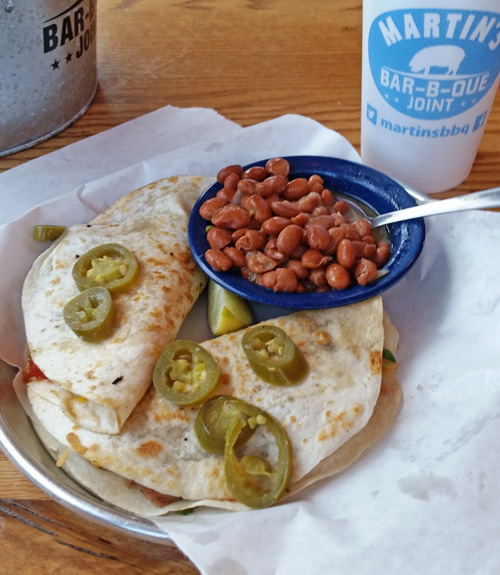 Theirs is just shredded brisket, tomato salsa, cheese, jalapenos, and I like to add in some of their pinto beans. If you're hungry and traversing Tennessee on I-40, stop off at Exit 226 in Mt Juliette, and get yourself some great BBQ at Martin's. It's on the South side of I-40 across from Olive Garden and Target. Their brisket tacos are always good or I wouldn't be getting them all of the time. But I wanted to make mine a little more "food truck" style. So I upgraded to a charred corn salsa. For a flavor boost, we hit it with our Salsa Verde Cremosa and Chipotle Lime Crema. 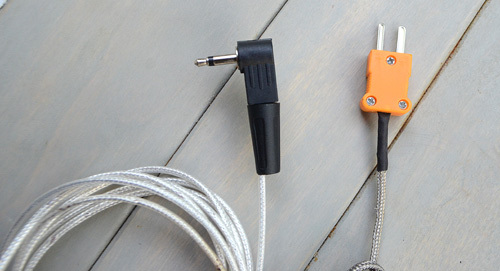 Make everything at home and just put it together at the game. We opted for option #2, smoking the brisket flat at my house and took it wrapped in foil in a Cambro (you could use a warm insulated cooler) so it would stay hot for 4+ hours. 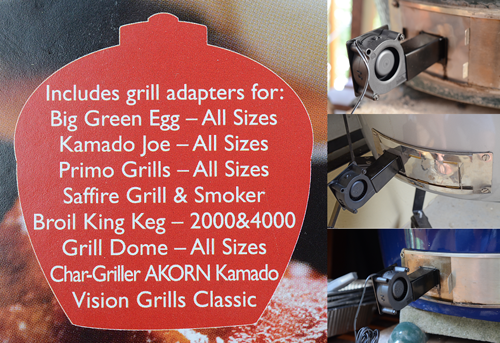 Having a kamado grill like my Grill Dome makes it easier since I can sleep through most of the overnight cook. We grilled the salsa veggies onsite, sliced the brisket, and then grilled corn tortillas to order as we handed out the tacos. 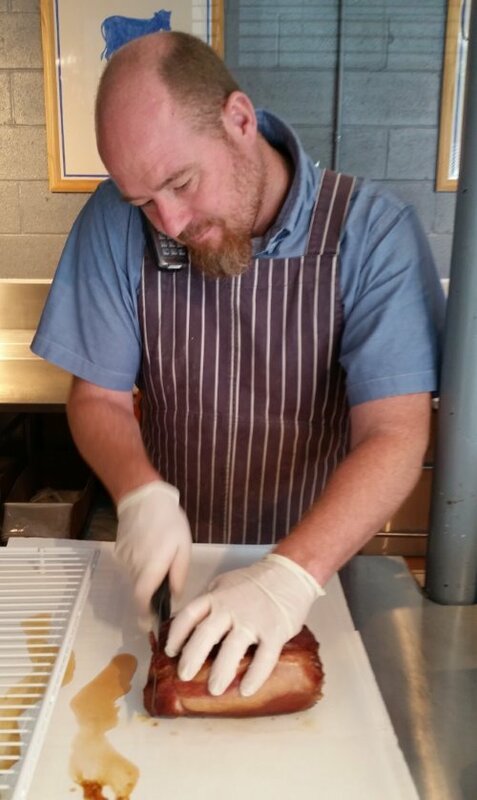 About 24 hours before serving, prepare your brisket flat. Trim fat cap to about 1/8-1/4" thick. 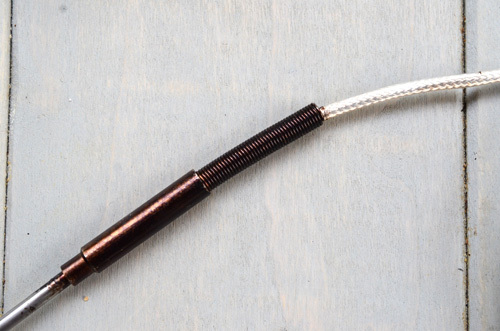 Use a meat injector to inject stock (optional but helps keep moist) into the brisket every few inches. 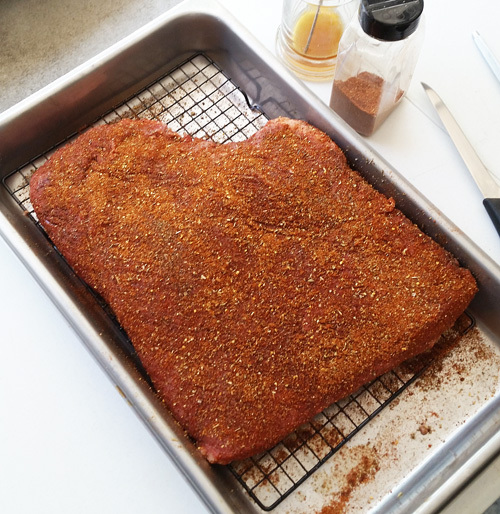 Moisten the outside of the brisket flat with the excess stock and then season evenly all over (don't forget the sides) with the beef seasoning and fajita or taco seasoning. Refrigerate. 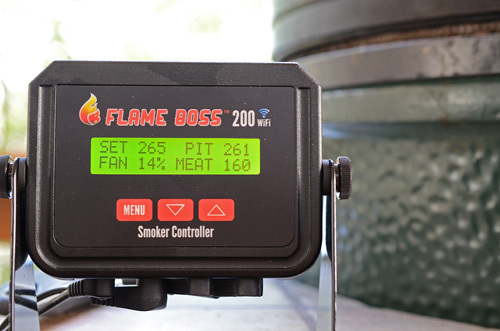 About 14 hours before serving, set up your smoker or indirect grill and preheat to 275°f. 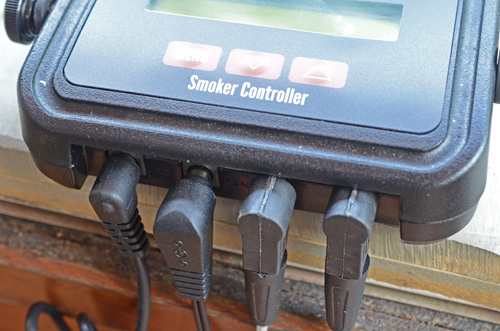 About 13 hours before your tailgate, place the brisket on your smoker/grill and smoke until the flat is tender when you insert a skewer or temperature probe. 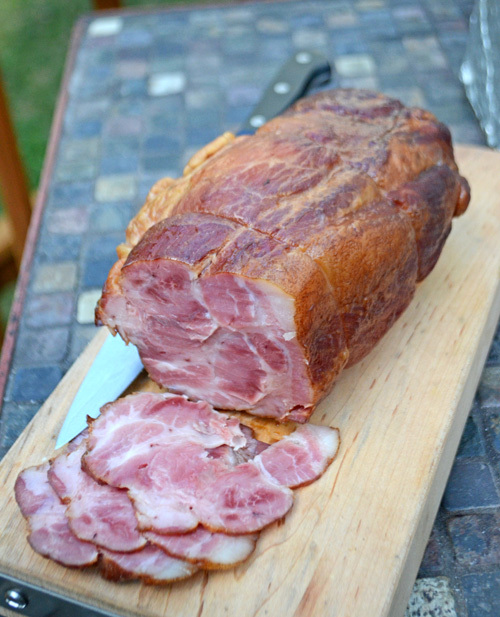 This will take about 1 hour per pound or when the internal temperature hits about 200°f. 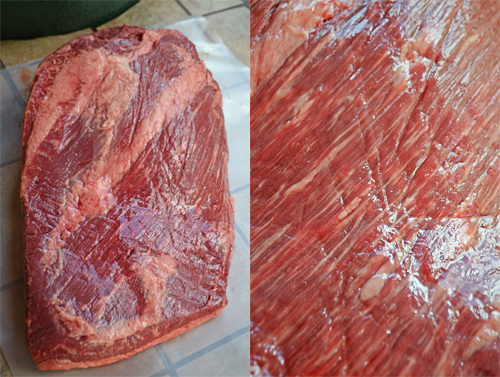 When done, double wrap in foil and place in a warm cooler lined with a towel, the brisket with another towel, and close. This will keep it warm until ready to slice at the tailgate. 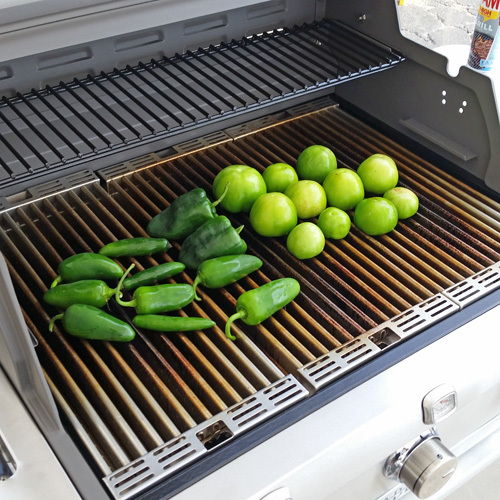 Meanwhile, preheat a grill to medium high (450°f) and cook the corn and chiles until charred on all sides. 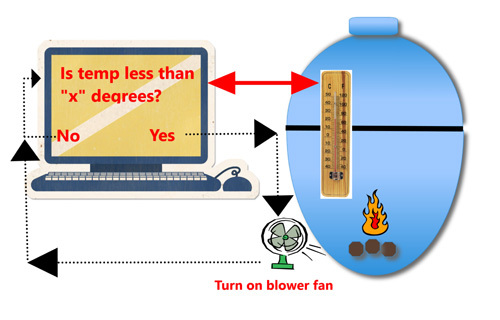 This will take 8-10 minutes, turning them every few minutes. Make the salsa. Peel, seed, and dice the chiles and place in a medium bowl. Stand each corn cob on one end and remove the kernels by running a sharp knife down the sides. Place corn in the bowl. Add the onion, black beans, tomatoes, lime juice, and oil to the bowl and stir. Season to taste with season salt and refrigerate until ready to use. 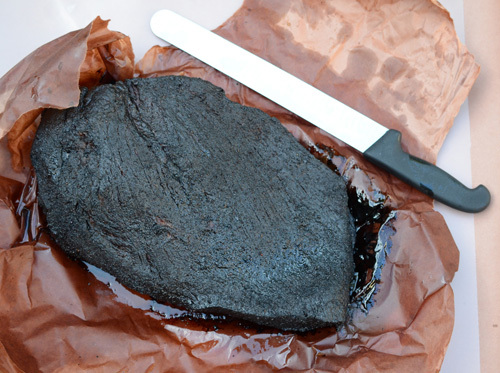 At the game: Slice the brisket and chop or break into 1" pieces. Grill the tortillas over a hot grill until slightly browned on each side, about 6 to 10 seconds a side. Top each tortilla with a spoon full of brisket pieces, a heaping tablespoon of salsa, a squirt of salsa verde, a squirt of crema, and if desired, a few pieces of cilantro. Beef Seasoning - I used my NMT Beef Seasoning. You can also use garlic pepper seasoning, Montreal seasoning, any commercial beef rub, or just use 3 parts salt, 2 parts black pepper, 1 part granulated garlic. Chipotle Lime Crema - There are several easy recipes. One is to blend 1 cup Mexican crema, 1 chipotle pepper (seeded), and 1 ounce lime juice. Another is to blend a cup of Mexican crema, 1 ounce lime juice, 1 teaspoon of chipotle powder, 1/2 teaspoon season salt, and chili powder to taste. 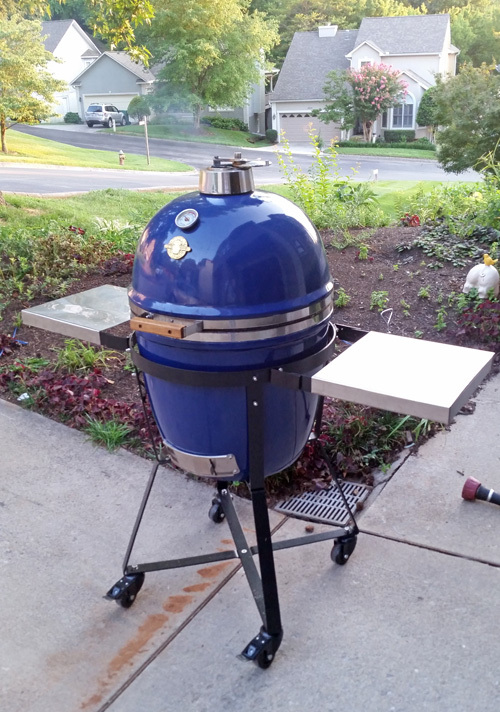 I like to keep my briskets or brisket flats on a raised rack like this so that the rub on the bottom doesn't get stuck to the pan. Use the wood you like. I like using a triangle stack of 1" x 13" splits of oak or hickory. The coals go in over this. 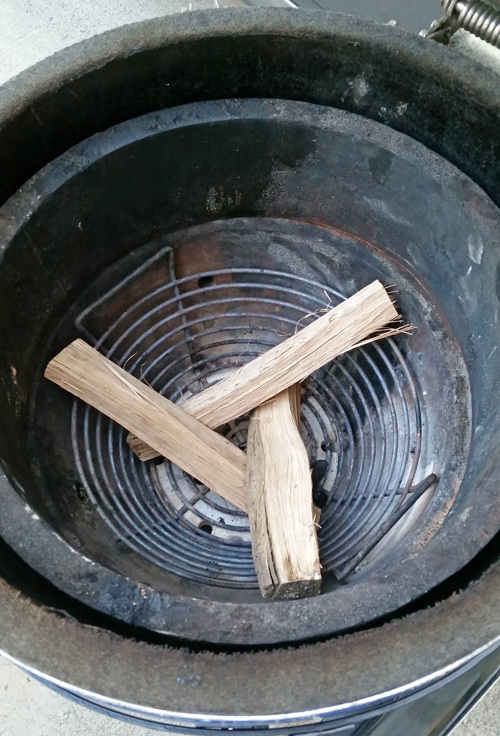 The basket is a KickAsh basket which makes reusing your coals easier. My Grill Dome out front since we were staining our deck when we did this demo. We grilled veggies for the salsa and the cremosa on the Saber grill. 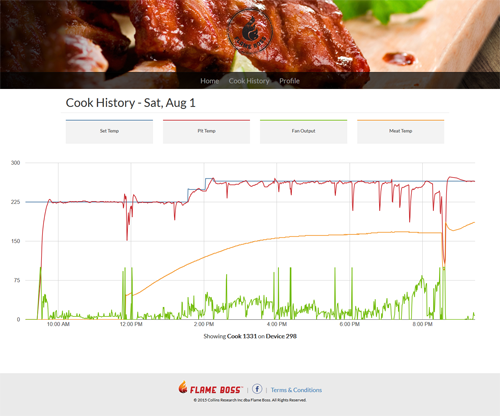 The infrared cooking charred the veggies quickly without drying everything out. 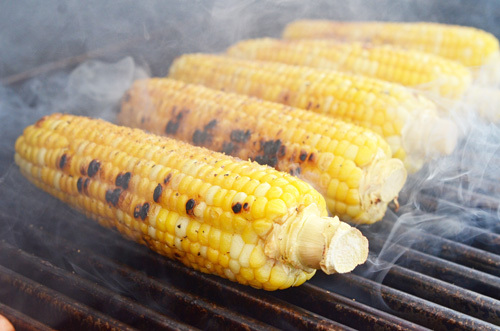 Don't worry, you aren't burning the corn, you are just charring sections of the cobs which packs flavor into the salsa. You can buy jarred salsa for your tailgates but fresh is cheap, easy, and soooo much better. Alexis heating the tortillas on the Saber grill while the stuffed Fritos were cooking. A great combination of flavors all in a one handed meal. 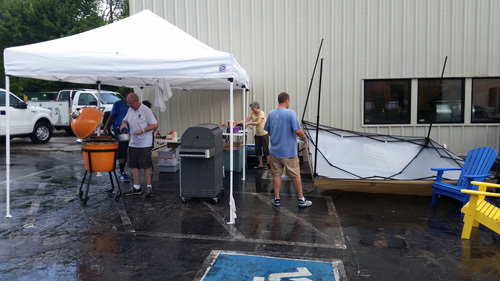 Here are some other shots from our grilling demo at The Great Backyard Place, Knoxville's Saber gas grills and Grill Dome dealer. 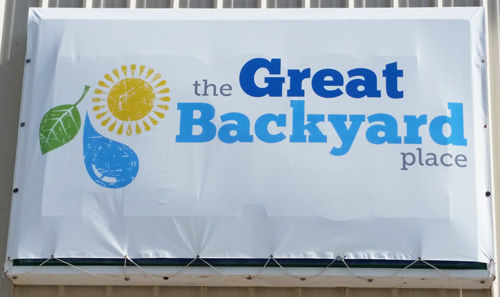 They used to be the Great Pool Place for years but they carry so much more for your outdoor lifestyle that they recently changed their name. 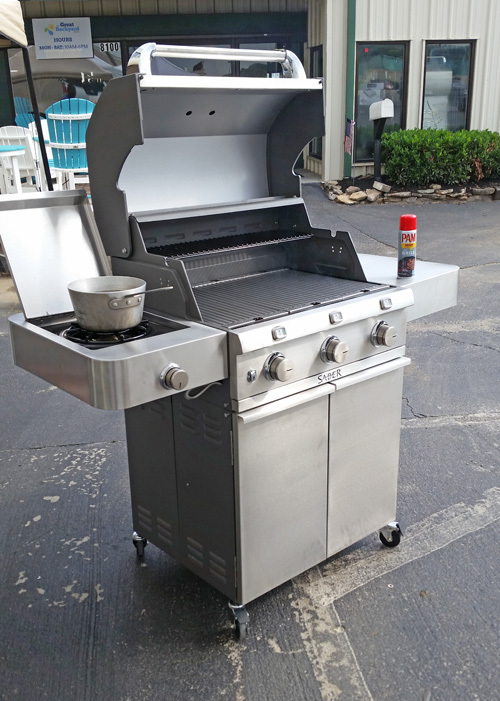 They have top end outdoor furniture, Saber gas grills, Grill Dome kamado grills, and amazing outdoor kitchen set ups. Check them out in Knoxville, Maryville, Cleveland, Chattanooga, and Asheville. 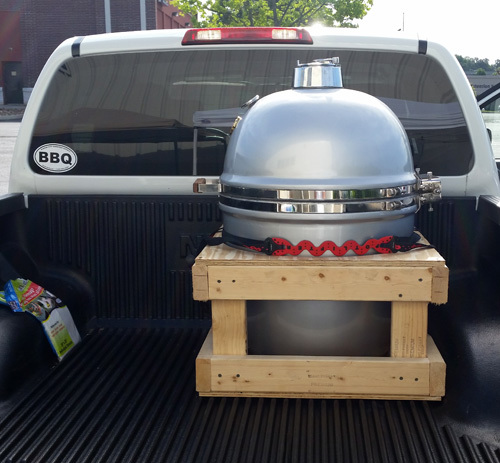 They might be heavy but you can take your Grill Dome to your tailgate if you are inclined. 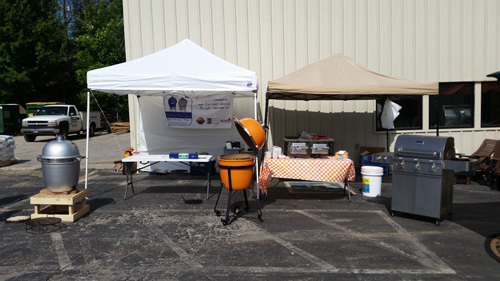 Setting up for a grilling demo. 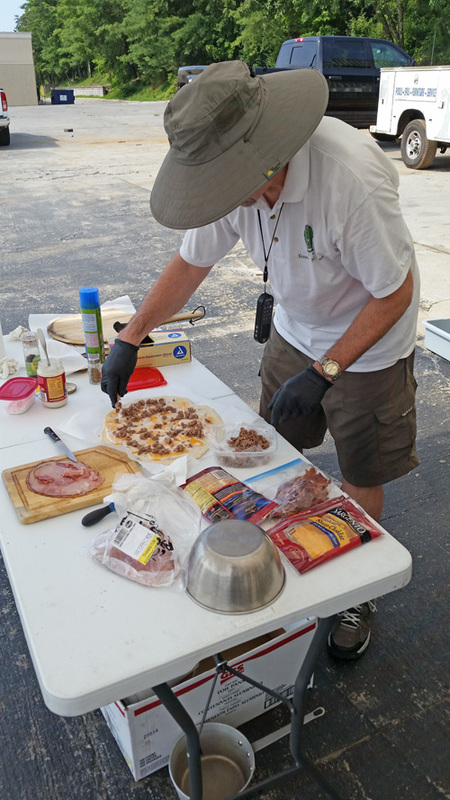 John creating one of his breakfast pizzas, these are perfect for tailgating for early games! Alexis cooking eggs on the Saber side burner while I'm grilling chiles for the salsas. 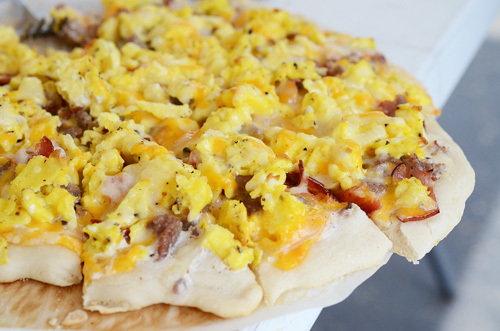 Eggs, sausage, bacon, cheese, and more all loaded onto a killer breakfast pizza. MOINK! 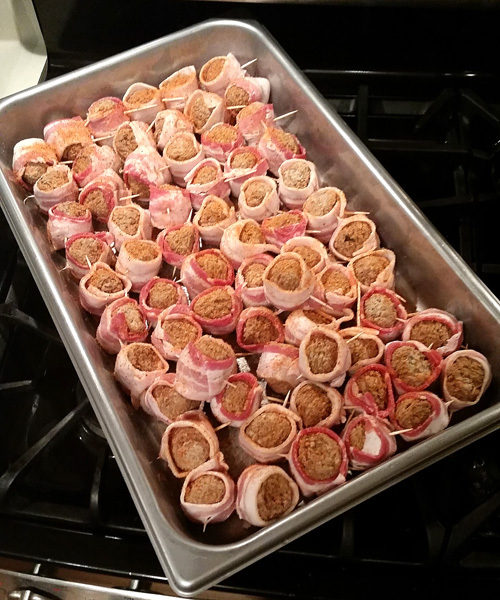 balls are easy and ideal for preparing ahead of the tailgate. 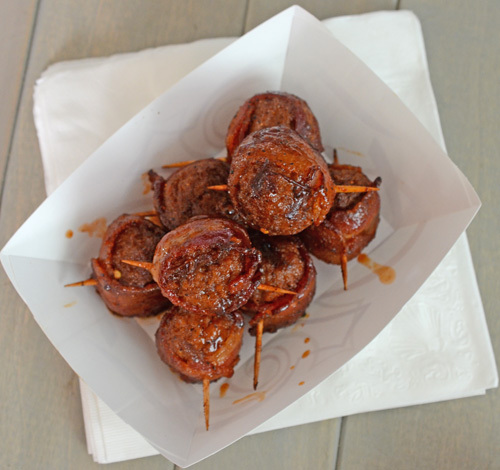 Meatballs, bacon, and BBQ sauce, how can you go wrong with that? 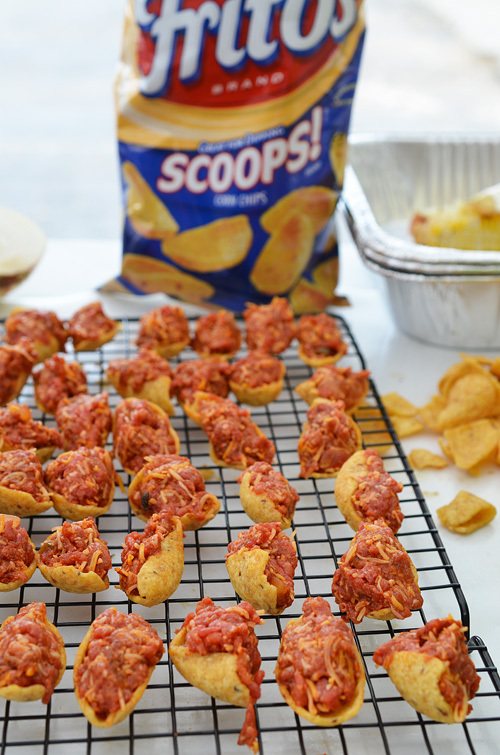 Stuffed Fritos are a bit unexpected, easy to make, and always a big hit. 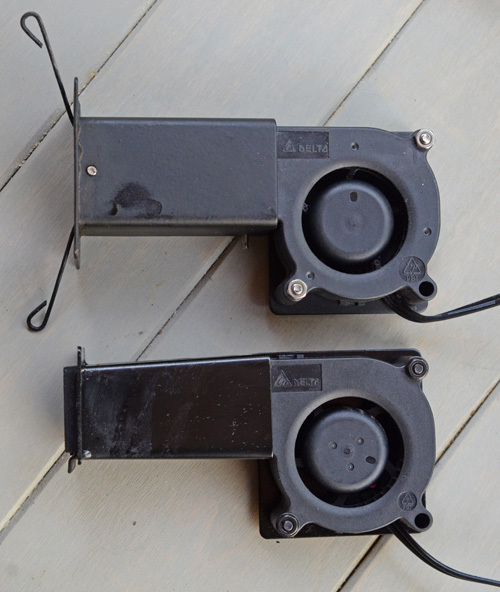 The Saber grill was the nicest gas grill I have ever used. 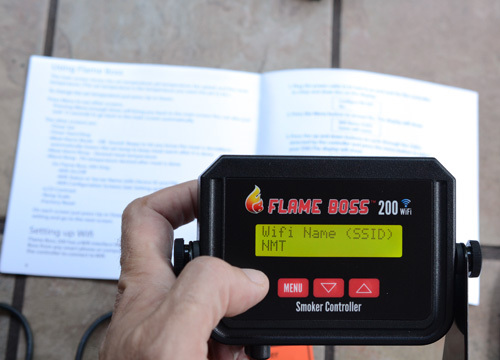 Great design and plenty of infrared heat, this thing can cook! 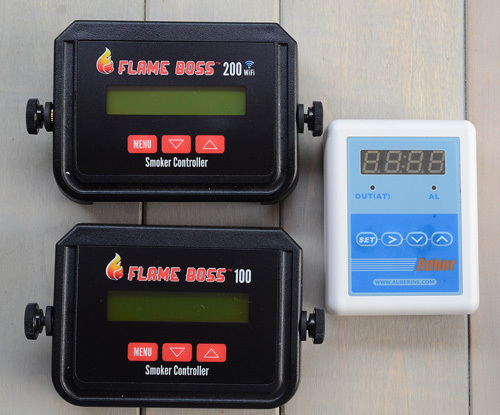 It is a complete departure from most gas grills that use hot dry air to cook your food. Excuse the blurry phone picture. Whoever thought that the lowly Frito could be so awesome? 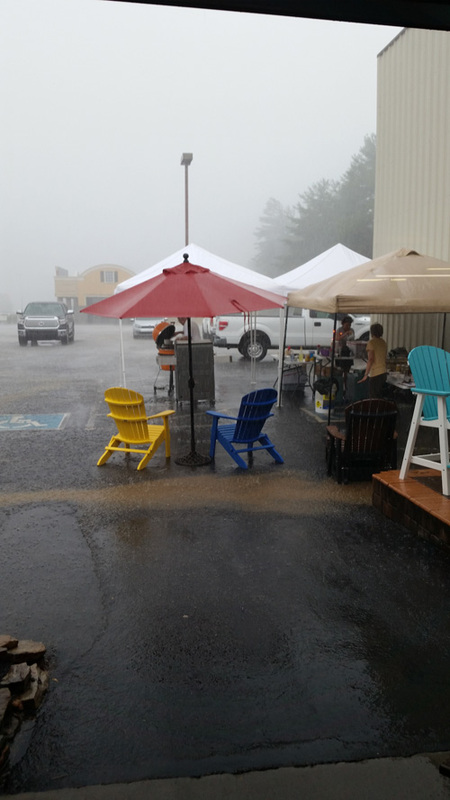 The rain wasn't supposed to hit until the end of our demo...it had other plans. It got dark with 2 hours to go and then the torrential rains kicked in. Just hanging around? No...hanging on! With the rain came winds that knocked over trees all around the Bearden area. Hanging on wasn't just for dramatic effect. Shortly before, the other tent caught a draft, lifted straight up in the air about 15 feet (with Anna Mae under it), and then flipped upside down like this. It took our buffet table of food with it. 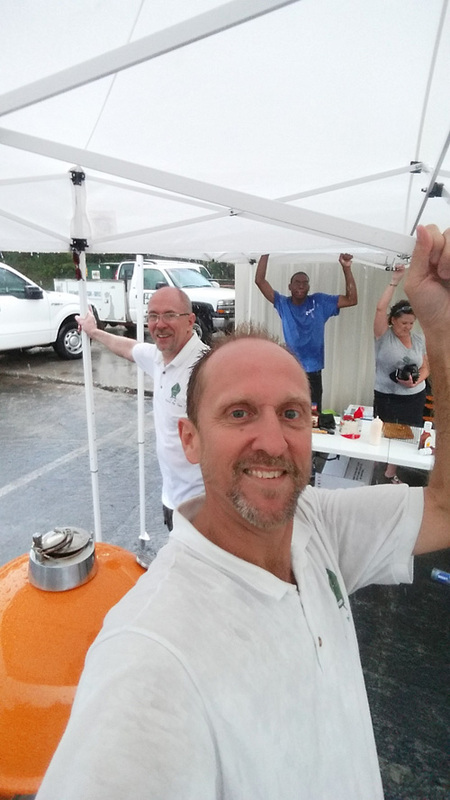 Normally we strap our tents down with 5-gallon buckets of water on each corner but we were counting on being gone before the rains were supposed to arrive. Lesson learned! 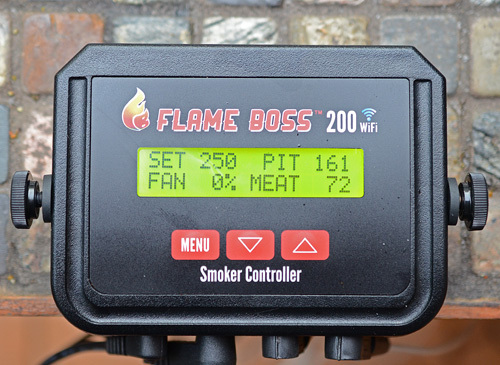 [Standard FTC Disclaimer] We are sponsored by Grill Dome, Char-Broil (which is in the same corporate family as Saber), and The Great Backyard Place.